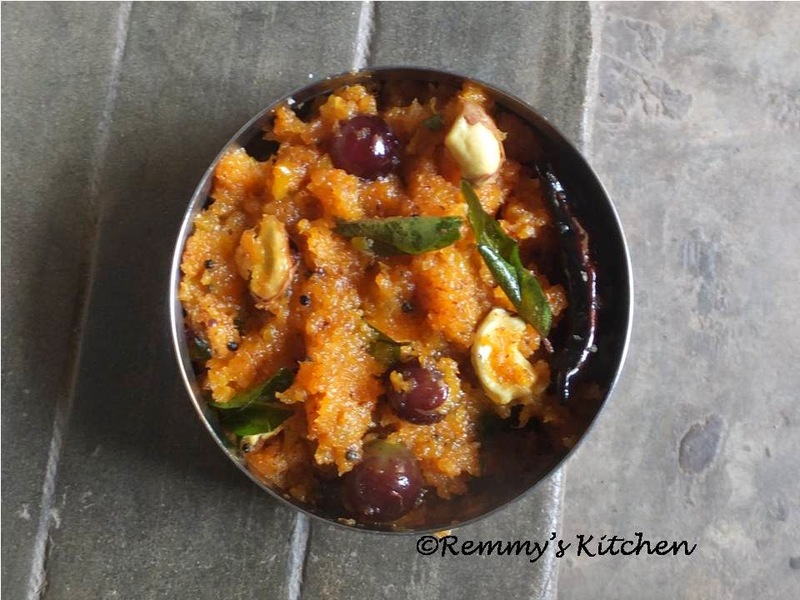 It is a sweet side dish usually preparing for sadya!.I got this recipe from a cookery show by Pazhayidam Mohanan Namboodiri.Amma used to prepare it for Onasadya. Chop both pineapple and banana. Take a vessel and add chopped pineapple and banana. Now add water, turmeric powder ,chilly powder and salt to it. pineapple will ooze out water so don't add more water. In between give a stir. When it is in dries form remove it from flame and let it cool. Wash the grapes well and wipe it with dry cloth. When the pineapple banana mixture is cool ,add crushed coconut and grapes to it and mix gently with the other ingredients. Now heat a pan with oil add all the ingredients listed under "to temper" in the same order. Pour it to the curry and mix it well. Finally add 1/4 tspn of mustard powder to it. This: my all time fav. Yummy all the way. 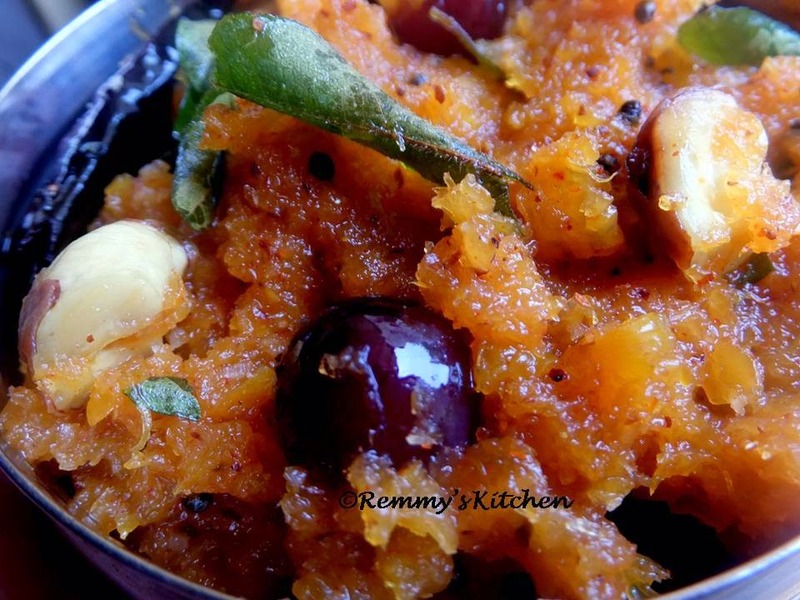 Looks super tempting pineapple pachadi!! Very inviting!! You have a nice blog..! !